Between the Wye Valley & Forest of Dean, Tan House offers close access to stunning landscapes, numerous antiquities and exciting activities all with an A.O.N.B. Our village is small, beautiful & historic, utterly rural with walks literally in all directions & a great food pub. Our home does not disguise its antiquity, there are talking points & curiosities but also good C17 architecture that provides welcoming rooms all equally large & bright. Once the home of a wealthy tanner, later the gardens and outbuildings were converted to a farmhouse, now with 14 acres of gardens, orchard, meadow , brook & pond. Our breakfasts are designed to set you up for the day, and we have lots of home produce, or local, our butcher makes the sausages & home-cures his bacon. House-style is welcoming, informal, we have dogs, courtyard parking, back door entrance !!!! 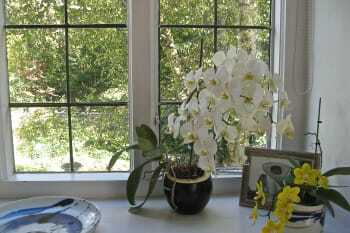 Most welcome couple with stylish house and lovely garden placed in great surroundings. Possibility to disconnect from the outside world and its woes - as well as opportunity to hear some great stories. Hearty and substantial breakfast is a very appreciated bonus. We can't wait to return there - if opportunity arises - in the Spring / Summertime. Make sure you stroll for a circular walk along Valley Brook - most refreshing and quite rewarding. Otherwise quite suitably placed base to explore both Forest of Dean and Wye Valley - these are 15 minutes away by car. The Ostrich Inn which is 5-10 minutes away by foot from Tan House offers excellent and tasty selection of food and beverages. You won't be disappointed! We had a lovely stay at the Tan House and we wished we had stayed longer ! A very friendly place to stay. I liked our hosts having breakfast with us. A relaxed atmosphere and beautiful surroundings. Christie and Richard were very interesting to talk to. We really enjoyed staying there. Very good pub/restaurant up in the village of Newland. We enjoyed the local steam train trip. Very nice place. Cristie and peter were great hosts. Everything in Forest of Dean is great to go/see. Peter & Christy lovely hosts. Enchanting house & gardens full of history & ambiance. We will certainly be returning. Very much a home from home. .
Ostriche local pub great food & service. 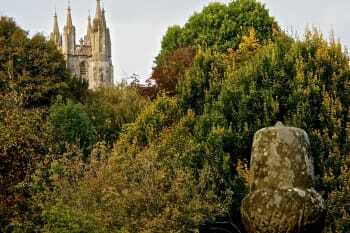 Take a look in the local church know as the Cathedral of Th Forest,very interesting. Newlands a very pretty village. Peter & Christy are lovely hosts in their very beautiful unique home and a home is very much what Tan House is. The gardens are tranquil and lovely to sit and read or just contemplate the day. It is not all mod cons & technology. 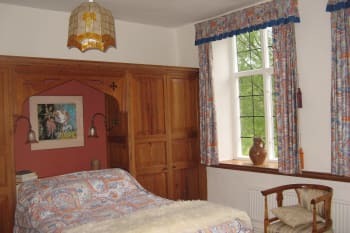 It is warm tranquil clean and relaxing to stay in and my husband and I will certainly be going back for anothere stay.The house was built around 1660 and has a wonderful history and is very much rooted in the Wye Valley and the lovely village of Newlands. Wonderful stay, and fabulous breakfast nothing was too much trouble and we were made to feel so welcome , thank you for having us! Beautiful house in a stunning location. The owner are helpful friendly and eager to please. We had a beautiful double room with everything we could want. We had a wonderful time and wouldn’t change a thing about this weekend - it was perfect! Lovely to meet you as well. Thanks for telling us all about your fantastic home. Follow Peter’s advice for the local food! We really enjoyed disconnecting from the hectic-ness of city-living for a weekend. The Tan House is SO full of character, it’s an amazing place to stay - and the location is great too.Even the dogs and cat are extremely friendly. We liked the location, the cleanliness of the rooms, etc. good facilities, service was very good and the staff DELIGHTFUL, both greatly pleasing and entertaining. A good place to stay and we want to go back, THANK YOU, from Giovanni and Prudence. Do your homework, there is plenty to see and do, especially if you like the outdoors. My daughter and I had a fabulous stay with Chrisie and Peter, we were made most welcome in their stunning home. Zeus and Gaia the dogs and Jelly the cat were a lovely addition. Breakfast was delicious using local produce and Peter's homemade conserves. We will most definitely be returning. Thoroughly recommend this wonderful place. Amazing. Christie emailed me before we arrived to find out our interests, then followed through with her formidable knowledge of the area. My husband loves trains, and Christie introduced us to local owners of a live steamer line. More than that, Christie's expertise in medieval architecture, art, and history was exactly what I needed for my own research. Peter effectively added humor and practicality and delicious breakfasts. Just ask Peter and Christie. One of the best - possibly the best B& B’s I’ve ever stayed in. 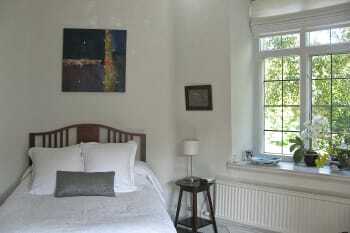 A lovely old house in beautiful gardens and extremely well-appointed and comfortable rooms. Highly recommended. We only stayed one night so didn’t explore the local area much, but we had a good meal at The Ostrich, the local pub in Newland. Everything about Tan House Farm is wonderful-the location,enfolded by the forest,the beautiful house and gorgeous gardens and the hospitality and warmth of Christie and Peter, not to mention the fab, homecooked breakfast! We will definitely be returning and would recommend it unreservedly. Symonds Yat Rock for stunning views over the Wye Valley and the peregrine falcon's nest. Walking trails in the great Forest of Dean. The Ostrich pub in tne lovely nearby Newland for really tasty food. I had the most enjoyable stay! 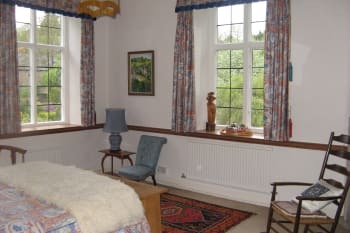 The house is just stunning, full of art, beautiful furniture and surrounded by gorgeous gardens and natural environment. Peter and Christie made me feel at home and looked after me and my dog extremely well. I highly recommend to visit them!...get ready to fall in love with the place! Bus services from Lydney aren't really exceptional, especially if traveling at the weekend. I would recommend to book a taxi ahead. What a fantastic place. 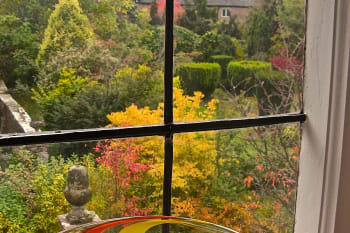 A warm and very personal welcome to a really beautiful property, set in a fabulous garden. Easy walk to good pub for food, a great base for walks in the Wye valley, and certainly somewhere we will want to visit again. The Ostrich inn in the village is a great place; be sure to book. Food is very rich and filling! Absolutely faultless. Beautiful house and grounds. The hosts are truly lovely people. Our room was very comfortable and really peaceful. In a word - sublime. The wonders of the Forest of Dean and the Wye Valley are on the doorstep. As beautiful as ever. Amazing breakfast. Really lovely hosts. The Ostrich Pub is great. Wonderful hosts, nothing too much trouble. Extremely friendly. Christie and Peter create a real home from home. Breakfasts great. A wonderful find and suited us perfectly. Food at Ostrich. Kaplan's in Coleford. Micro pub The Doghouse in Coleford. Bike Centre and cafe at Park End lovely coffee and homemade cakes. Clearwell Caves well worth a visit , very informative nad low-key displays. The most fantastic and magical place! Christie and Peter were so helpful and friendly! We'll be back again soon to this unbelievable part of the world! The Ostrich pub. Symonds Yat. Tintern Abbey and Devil's Pulpit. Tan House Farm is a beautiful B&B set in within charming landscaped gardens, a relaxing environment away from any traffic, our room was well presented and comfortable we had a very warm welcome from Peter whom immediately made us feel at home and showed us this beautiful piece of history that is his home. the gardens are amazing and a must to explore great for photography and sit and indulge. Can't wait to visit again for our anniversary in November. You would not be disappointed. Lots of places to eat near by, perfect for the steam rail. Great place, the house and garden are fantastic, a jewel in the forest, Christie & Peter are great hosts, knowledgeable on both location and local history, there are some great walks on your doorstep. We will be back. A walk up slaughter hill will take you to the Cathedral of the forest and the Ostrich pub, good food and beer, Clearwell a short ride away has the Butchers Arms for food and beer or the Lamb for real ale lovers.. Absolutely beautiful place – wish we could have stayed longer. Lovely hosts. Very friendly dogs Zeus and Gaia, and Christie and Peter were welcoming to my own dog. After booking very last minute we could not have been more pleased with our stay at Tan House. We were welcomed by our hosts and shown our clean room in their lovely home. In the morning we were treated to a lovely breakfast. I was surprised that the B&B was more of an 'air b&b' set up, i.e. more like the owners private house/home with rooms available, rather than an official b&b set up. I would have like to have known this in advance as my partner and I were after more privacy. 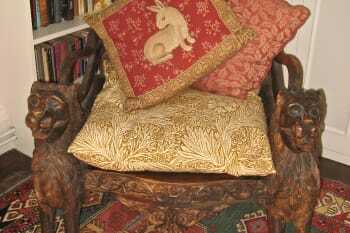 It is beautiful and very well kept home, lovely art, quirky style. However I would have wished for more personal space to be offered, separate from the owners home life. I also asked in advance for our gluten and dairy free diets to be accommodated for, and no effort had been made to take this into consideration which was a shame. On the plus side there were delicious home-made jams for breakfast. The location is lovely. 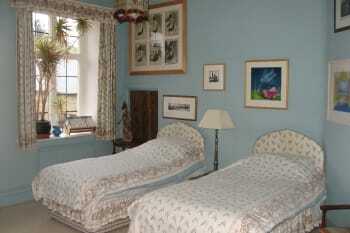 Our overnight stay in The Gallery room at Tan House Farm was delightful. Our room was spacious, clean and welcoming. If visiting the area in the future we would have no hesitation in booking here again. The house itself and its interiors are grand and beautiful containing lots of interesting art works, sculptures and beautifully crafted pieces of furniture. The hosts Peter and Christie were the most charming and friendly hosts that we have had the pleasure to meet. Their additional family, of two dogs, were equally friendly and lovable. Breakfast was fabulous, cooked to perfection by Peter, using locally sourced tasty sausages and bacon with fresh eggs laid by their own hens. I loved the fact that we were joined at the magnificent breakfast table by our hosts which gave it a very 'at home' experience. Thank you both for providing a lovely welcoming stay. The local village pub in Newlands, The Ostrich, is well worth a visit providing an excellent menu with superb food. Not to be missed, in my opinion. lovely, welcoming hosts made me feel very much "at home". The Ostrich PH, Newland, dog friendly and excellent food. A very welcoming, homely place to stay with lovely hosts who were full of information about the local history and wildlife. I would happily stay here again. It was a real gem of a find - we will definitely be going back. We have already recommended to friends and family. The welcome and friendliness was lovely. The breakfast was fresh produce, excellently cooked and presented. Thank you for such a lovely stay. Perfectly soft bed linen in a comfortable bed with fresh local produce for breakfast in the most beautifully restored house in magical gardens on the edge of a charming village in the glorious Wye Valley with friendly, stimulating hosts - what more could one ask for?? Absolutely fabulous. Local pub , recommended by the hosts, a good evening meal a short walk up the hill, just off the stunning Wye valley. Excellent. A beautiful house, in great surroundings. Pete and Christine are excellent hosts and Pete's breakfast was wonderful! 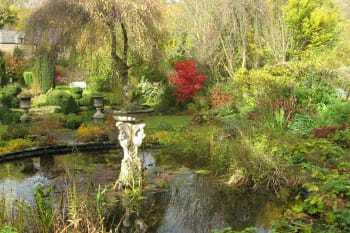 Relaxed and very friendly owners and general atmosphere,lovely old building and gardens. A very quiet area,some good walks nearby,a nice escape from the fast lane!Decent pub that does food about 10 min walk, but a fair distance to other villages. Well worth a try! 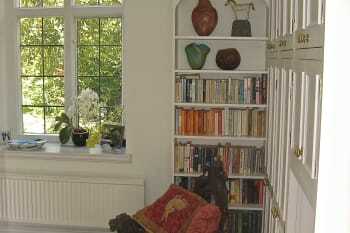 A stunning house, beautifully furnished, very comfortable and a friendly welcome. The Ostrich pub is in easy walking distance and has great food and beer. 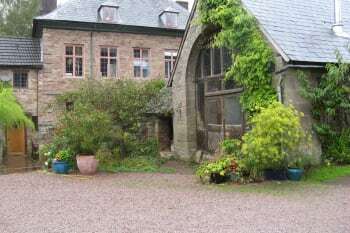 The location is ideal for exploring the Wye Valley, Forest of Dean and Tintern Abbey. Lovely building in a great location, far from the madding crowds. Used Tan House Farm for an overnight stay during a couple of days spent exploring the Forest of Dean. 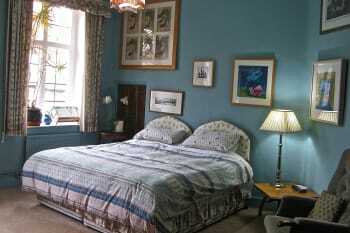 Stayed in the Blue room, and enjoyed a really good nights sleep. Breakfast the following morning was excellent and set you up for the day. A real home from home. Mountain biking at the Pedal a Bike away centre caters for all abilities, and also has a great cafe. The Wild Boar burgers are really tasty. If you haven't brought a bike you can always hire one. There are also some great walks and picnic areas if you don't fancy riding a bike. New hairdryer as the one in the blue room is very slow. Otherwise a perfect stay with wonderful hosts - thank you! A very special place. Eat at the Ostrich. Do the circular walk to Redbrook. Lovely welcome as ever! So glad from our point of view that you are still in Newland. We hope to see you again next year and on into the future! Food and service at the Ostrich is excellent too. What a wonderful house and beautiful garden. A very relaxing stay, a perfect place to escape to. The Ostrich is the perfect pub with great food. Hidden oasis !! A little piece of paradise. A lovely welcome and a super place to stay although we wish we could have had two or three nights there ! The breakfast was delicious too ! Highly recommended. The Ostrich is a lovely, quaint pub just 5 minutes walk away and Monmouth is only a 15 minute drive away with other restaurants. The whole area is super for walking. Tan House and its garden are absolutely lovely. Beauty everywhere and peaceful walks from the doorstep into the countryside or to the delightful village of Newland and its interesting church, the Cathedral of the Forest. We so enjoyed meeting our hosts, Christie and Peter, and chatting to them over delicious breakfasts. We had so many interests in common. The Ostrich, the famous Pub in Newland for food. We visited Tintern Abbey and Symmonds Yat with its famous viewing rock for spotting peregrine,goshawk,buzzard. Also Goodrich Castle, neighbouring towns and the countryside for walks. Perfect place to forget about a the really world. Really nice and interesting owners and a beautiful house with a marvellous garden and field. Loved our stay, would definitely come back and recommend to others. Peter could not have been more helpful and we enjoyed our breakfast conversations. Friendly dogs and cat made it perfect. Great base for seeing the beautiful surrounding area. Beautiful house in very nice settings. Our room was very nice and the bed was comfortable. The room was equipped with everything that we needed and had a nice en-suite. Breakfast was very nice and the owners were very friendly and welcoming. We had a very friendly welcome and Peter and Christie asked us to make ourselves at home. That's what it felt like, comfortable and cosy in a lovely setting. There was plenty for breakfast and the twin room was light and spacious. Must visit Puzzlewood, Symonds Yat and walk the Sculpture Trail. The Ostrich Inn is walkable from Tan House and the food was excellent. Ostrich Inn/pub in village. Great wholesome food very reasonably priced in great ambience. the house is beautiful and we were very well looked after. We had a great stay and would recommend it to everyone. Very pretty little village with an excellent pub/restaurant. 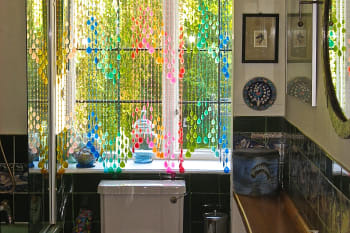 Very accommodating friendly hosts,very informative and helpful.we just love the house,everything about it is charming,full of beautiful artwork and pottery,its such a colourful,cheerful place to stay. The house itself was charming and oozing with history, but the style of decor, the abundance of art, and the frequent, welcome appearance of the house pets added to the overall character and personality of their home and enhanced our stay. Don't expect TV or cable for your evening entertainment. You come to Tan House to get away from that! However for the gadget addicts there is free WIFI in your room for your internet fix if you need it. The gardens are lovely to walk around before you head off on your adventures for the day. if you are lucky, Welly the cat will join you on your stroll. Christie and Peter (not forgetting their dogs and cat) were welcoming and friendly from the moment we arrived to the moment we departed. We will definitely be back. You can't go wrong with the Ostrich just up the road in Newland for hearty, rustic food (I recommend the sausages) and a warm welcome. However you might want to bring a torch! The route at night is very dark and you don't want to stand in anything which is common on country road used by horse riders! If you are feeling energetic, go the (steep) Savage Hill way, or the slightly more meandering Laundry Road way if you prefer a less heart pumping route. Don't let a cloudy day stop you from adventuring out. The amount of walks and spectacular views are endless...and you will find plenty of leaflets and booklets in your room to assist!